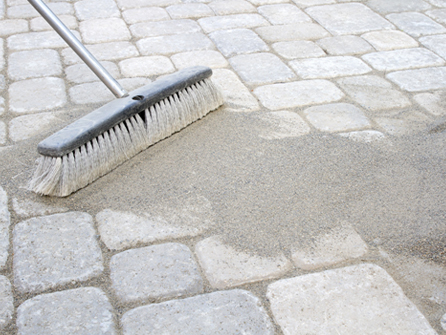 Having your driveway, patio and pathways professionally cleaned can bring them back to life and looking like new again. A dirty and shabby looking driveway can make a property look old and tired and bring down its value especially if you are putting it on the market to sell. Yet a simple clean by the professionals at PMB Paving and Landscapes Ltd can alter that. Instant changes can be achieved with our modern machinery, you will be amazed by the results. 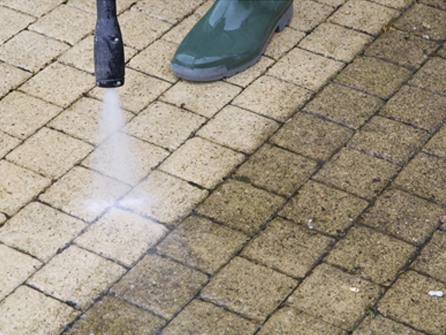 Years of weather and storm damage, algae, moss, dirt, grime, petrol and oil stains and general wear and tear can take its toll on your paving and can make it look unusable. For all your professional cleaning, contact our experienced team at PMB Paving and Landscapes Ltd, call us today on either of the numbers at the top of the page. Protect your expensive investment by having repairs and maintenance carried out on your paving to ensure it looks good all year round and any problem areas are sorted out as soon as they happen rather than leaving them to get worse. Whatever problems you have with your driveway, patio or pathways, call in the experts at PMB Paving and Landscapes Ltd. No job is too big or too small for our family run team to handle. We offer free site surveys to discuss your requirements and are happy to offer free helpful advice and guidance on any specific questions you may have. 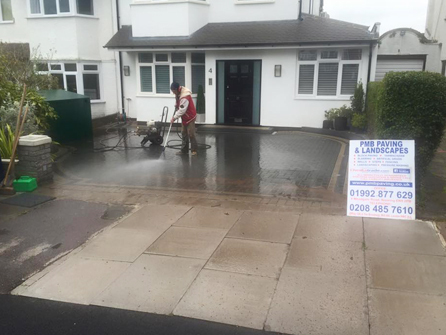 So, call our team today at PMB Paving and Landscapes Ltd on either Mill Hill 020 8485 7610 or Hoddesdon 01992 877629 and speak to a member of our friendly team about professional cleaning or paving restoration, we are waiting for your call.